CALMOSINE Digestion is a natural and gentle food supplement. CALMOSINE Digestion has a particularly beneficial action in colicky babies: it soothes and calms them, helping to reduce crying. 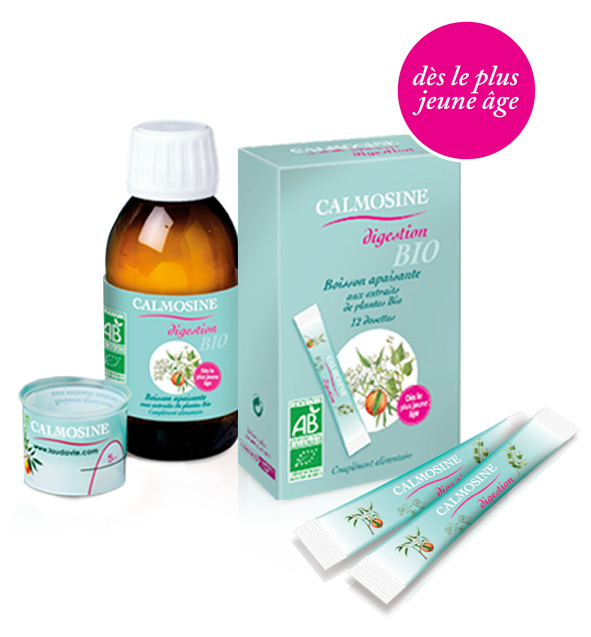 Designed and produced in France, the CALMOSINE organic range (bottle and sachets) is certified ORGANIC by the independant body Ecocert which approves the selection of raw materials, the formulation, the manufacturing process and labelling. This certification garantees the excellent quality of the products. 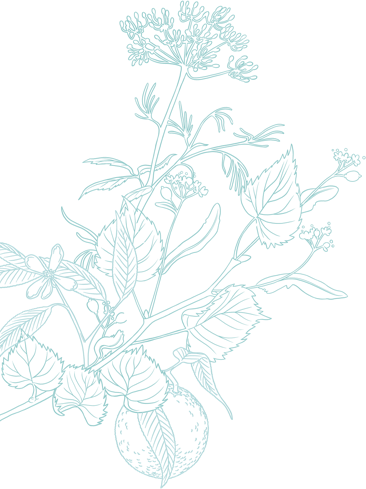 CALMOSINE DIGESTION CONTAINS ORGANIC PLANT EXTRACTS, i.e. 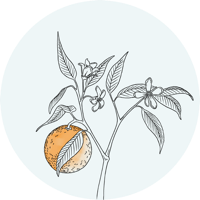 PLANTS GROWN AND HARVESTED BY FARMERS COMMITTED TO USING QUALITATIVE AND ENVIRONMENT-FRIENDLY GROWING METHODS. 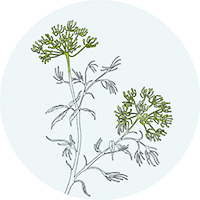 Fennel is a plant belonging to the Umbelliferae family that has been used before meals for centuries to aid smooth and comfortable digestion. Thus it promortes digestive comfort. 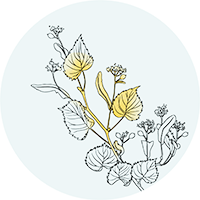 Lime flower is a plant belonging to the Tiliaceae family that is traditionally used to make herbal teas and known for its calming and soothing properties, particularly in the digestive tract. 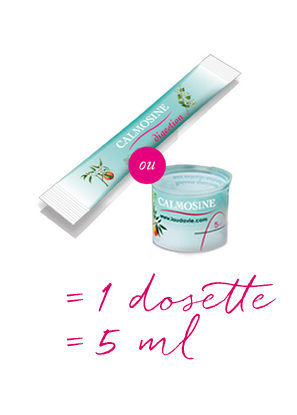 The composition of CALMOSINE digestion is the same for the bottle (100 ml) and the sachets (5 ml) : Water, plant extracts (vegetable glycerin, fennel seeds [Foeniculum vulgare], fresh flowering tip of linden [Tilia cordata], orange blossoms [Citrus aurantium] (0.16%), fructose, acidifier: citric acid. IT IS VERY IMPORTANT TO STORE THE BOTTLE OF CALMOSINE DIGESTION IN THE FRIDGE AFTER OPENING AND TO USE IT WITHIN THE 10 FOLLOWING DAYS.